The Friends of the Castle Green was formed in 1993 as a support group for the historic Castle Green built in 1898 and designed by the noted architect Frederick Louis Roehrig as the first annex to the very successful Green Hotel which had been built on the opposite side of Raymond Avenue. 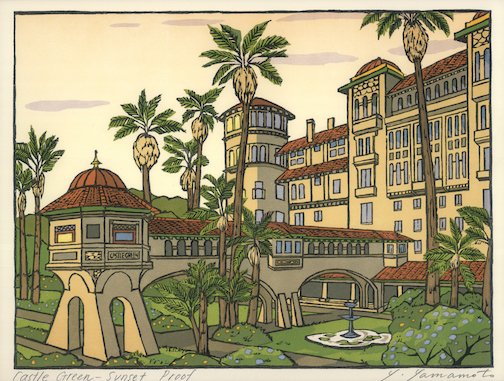 The purpose of the Friends was to raise funds for historic restoration to the standards of the Secretary of Interior and to raise awareness of the significance and beauty of this important building in the history of Pasadena. Over the years, mostly through public tours of the building, the Friends of the Castle Green have completed many projects on the building. Currently we are working on having the shades for the lanterns on the veranda and the sunroom reproduced by the Seattle glass artist Janusz Pozniak. Earlier the Friends had the metal lanterns reproduced by local metal artisan Rinauldo’s Reproduction. Please explore many other projects on our projects page. Sunday, June 2, 2019 from 1:00 until 5:00 p.m.
Tour $30 per person, $35 on tour day at the gate after 1:00 p.m. Experience the splendor of the Castle Green! Explore the original Moorish and Turkish Rooms, Grand Salon, Palm Court, Lobby with the Grand Staircase and the fully restored Bridge interior. Visit many private apartments, each unique in decor and layout. Listen to experts discuss the history of the building and see our pop-up museum of artifacts from the Castle Green archives, including the castings of the “grotesques” and the decorative plasterwork used to restore the Bridge exterior. Sip lemonade on the veranda or put on your dancing shoes and whirl to the LIVE swing music of Jack's Cats. Advanced reservations required. Reserve tickets online at Brown Paper Tickets. All proceeds benefit the ongoing restoration of the Castle Green. Please note the antique elevator will not be in service during the event. We are disabled accessible in all rooms of the first floor including restrooms, Sunroom, Grand Salon, Moorish and Turkish Rooms, Lobby, Library and Ballroom as well as front veranda and lawn. A ramp is located via the back driveway. Please contact us if you would like more information. 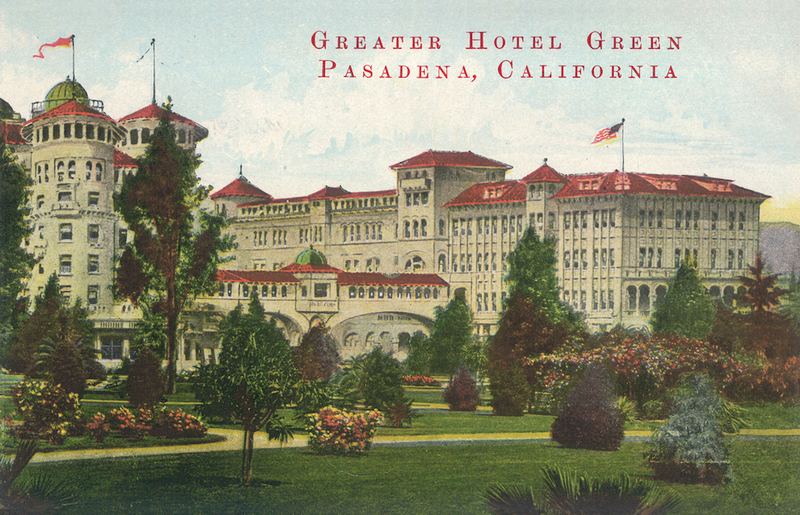 The Castle Green is located at 99 South Raymond Avenue Pasadena, California 91105 in Old Pasadena. Gates open at 1:00 p.m. You can arrive at your convenience through 5:00 p.m. Tickets available day of at the gate. Hope to see you at the Castle! There are two Public Parking structures available. Both structures offer 90 minutes free; $6 maximum. Street parking in the area requires coins. *This is also a Metro stop. 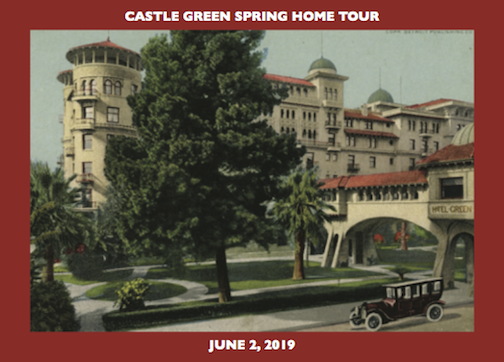 For further information and tour volunteering opportunity, call (626) 824-8482 or email contact@friendsofcastlegreen.org.